So, we’re now six days into 2012, that exciting, unstable year with Roland Emmerich’s sweaty handprints already over it. 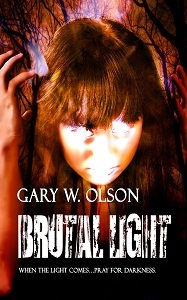 I’ve just started on writing a dark science fiction novella, Entering Cadence, while continuing researching things in preparation for the sequel to Brutal Light. I’m determining which conventions I’ll make the extra effort to go to this year (beyond the Michigan-based ones I attend every year). I’m also working on some surprises for this month and next. Good times! Author J.E. Gurley’s new book of horror Blood Lust is now available for a very limited (that is, for today and the next three days) time for free as a Kindle download from Amazon.com. If you have a Kindle (or a Kindle app for your computer or phone), check it out! Author Karina Fabian has launched the 30 Minute Marketer, a series dedicated to helping writers market their books. It’ll come out weekly (depending on donations) and breaks down marketing tasks into easy-to-fit-into-busy-schedule bits. Well worth a look if you’re a writer like me who wants to do more with marketing but can never seem to find the time. 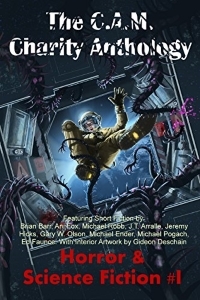 A new anthology will soon be open for submissions: Fading Light: An Anthology of the Monstrous, edited by Tim Marquitz. In a world where the light has faded, what creatures will make their presence known to man once more? Submissions are open from 1/15/12 to 5/15/12. One more video, from the ‘Epic Rap Battles of History’ series: Gandalf vs. Dumbledore. Because it’s Friday, and it’s made of awesome.